Here you can find Vietnamese keyboard layout based on the idea of Polish-Programmers layout, ie: the Vietnamese special characters are obtained with right side Alt key (called AltGr) + the corresponding similar character from the basic latin alphabet. If there are more than one Vietnamese letters based on one latin letter, then use the next letter on the right. See Usage section below for details. dấu nặng (ọ) AltGr + . A tone character should be entered after a letter character. ( AltGr + Shift + ? Replace your /usr/share/X11/xkb/symbols/vn file with this file file and restart X (logout and login again). See commits history on github. Layout files and this document are copyrighted by Piotr Morgwai Kotarbiński and licensed under the Apache License, Version 2.0. 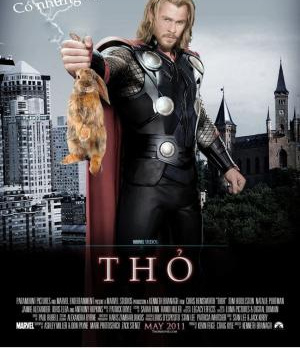 "Thỏ" movie image was found somewhere on the internet. Its license is unknown. It is hoped that placing it here does not violate anybody's intellectual property.